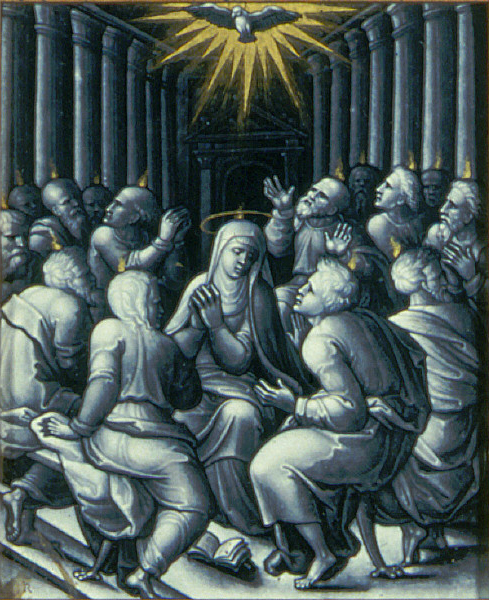 This coming Sunday is Pentecost Sunday – often celebrating as the birthday of the church. When a group of terrified and inadequate people were filled and equipped by God for the task he had for them. To this day, God continues to fill and equip terrified and inadequate people for his work. Don’t all these who are speaking come from Galilee? 8 Then why do we hear them speaking our very own languages? 9 Some of us are from Parthia, Media, and Elam. Others are from Mesopotamia, Judea, Cappadocia, Pontus, Asia, 10 Phrygia, Pamphylia, Egypt, parts of Libya near Cyrene, Rome, 11 Crete, and Arabia. Some of us were born Jews, and others of us have chosen to be Jews. Yet we all hear them using our own languages to tell the wonderful things God has done. The disciples must have been feeling bereft. They had been through such a roller-coaster of events. Jesus life and all it had come to mean to them; his death and the bewilderment and confusion that must have ensued; his resurrection with the wondering that brought about; then his ascension, which must have left them feeling all alone again. But now God is here in a new way. A way that he can live inside them day in and day out. God’s presence with them no longer depends on a physical presence – he is with them for all time, equipping them and working in and through them. 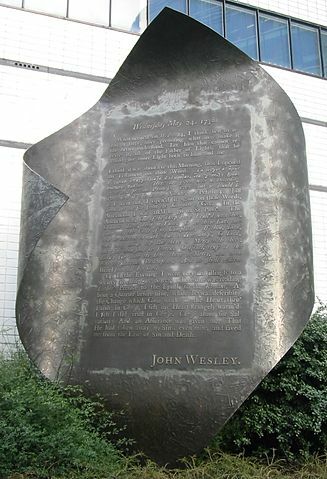 This Sunday is also marked as Aldersgate Sunday, the day John Wesley pointed to as his conversion. The coming of the Spirit is not just something that happened as a one-off in the lives of the disciples, or John Wesley, but an event that can take place in the hearts of each one of us – to KNOW God, to know he has taken all the things we’ve got wrong, and comes to equip us day by day for all he calls us to. We all need God with us everyday, whispering, shouting, prodding, comforting, warming, strengthening. We are his disciples, called to bring his message to the places we are, in a way they understand – for that we need God’s power, God’s indwelling – the Holy Spirit. And he is ready to pour it on us.